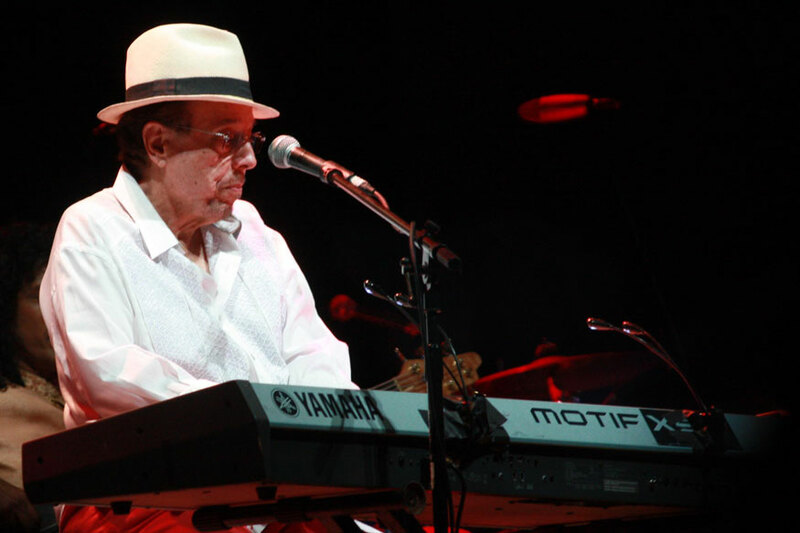 Sergio Mendes is world renowned as the master of the Brazilian Jazz-Pop crossover. Born in Niteroi, Rio de Janiero, Brasil, he grew up surrounded by the sea, sunshine, soccer and people happy with the simple things in life. Key to that was the music of the region –a cultural fusion of Africa and Portugal. He began studying classical music of Bach and Chopin at 7 on a piano bought by his mother. Then at 12 years-old, a childhood friend turned Sergio onto The Dave Brubeck Quartet’s classic jazz LP Time Out featuring “Take Five” which blew his mind. He started putting jazz bands together playing Brazilian flavored jazz that led to recordings for the Philips label while still a teen and a legendary November of 1962 concert at Carnegie Hall in New York City that featured Dizzy Gillespie, Stan Getz, Joao & Astrud Gilberto and Sergio’s mentor, Antonio Carlos Jobim. The next night, Sergio went to Birdland to hear The Cannonball Adderley Quintet (then featuring Viennese pianist Josef Zawinul). The next day, Adderley had Mendes in the studio cutting Cannonball’s Bossa Nova for Riverside Records. The rest is five decades plus of sweet musical and cultural mingling history. In an all-too-brief 35–minute phone chat, A. Scott Galloway gleaned as many impressions of Mendes, his concepts and collaborators as respectfully possible. SCOTT: I understand the Hollywood Bowl is your favorite place to perform. SERGIO: Yes, first of all I have great memories opening for Herb Alpert & The Tijuana Brass then playing several times for many situations with the L.A. Symphony. I remember playing there with my friend Henry Mancini… It’s just a magical place…no other like it in the world. You look out at 20,000 people it’s just an incredible vibe. I’m so honored that we are doing it again this month! SCOTT: It’s the 50 year anniversary of Brasil `66. SERGIO: That’s right! We’re going to have Lani Hall & Herb Alpert, Dianne Reeves who sang with me years ago, and the Los Angeles Philharmonic. 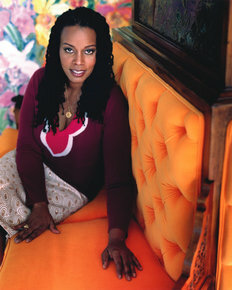 SCOTT: When Dianne Reeves came to L.A. from Denver and recorded her first solo albums, her bio stated that she sang with you but I looked on every album and never saw her name. She must have only sung with you in concert. SERGIO: You may know better than me (laughs) but she is a great singer. SCOTT: When I worked in radio at KUTE “The Quiet Storm,” you released the album Brasil 86 from which we played many songs including “Your Smile” and “Flower of Bahia,” both of which featured your wife, Gracinha Leporace. SERGIO: Awww, she is a great singer and she will also be with me at the Hollywood Bowl. When I composed the score for “Pele’” (the 1977 film about the world renowned Brazilian soccer star), she sang the theme song with him (“My World is a Ball”). We’ve been together for 46 years and we have two children; Gustavo, 29, who is a drummer, and Tiago, 27, who is a guitarist and singer. SCOTT: Gracinha has worked off and on with you over all this time. What has it been like to work with your wife as a musical partner? SERGIO: I know it’s a rare kind of situation but you see Herb Alpert & Lani Hall still work together. It’s a great thing for me. Gracinha is not only a great singer, she is the one that teaches Portuguese to all my singers – and over the years I have had many, many singers! They go on to other jobs, get married or leave the band. It takes a long time to teach the songs in Portuguese. Gracinha is an expert! When we audition new singers, they must have that component and desire to sing in several languages. It takes about two months. She teaches them phonetically…syllable by syllable. I don’t have the patience to do that anymore! My singers don’t speak the language but when they sing – after working with Gracinha – people think they speak Portuguese. We just did Rock In Rio last year. Gracinha plays a big role. Sometimes a singer can sing certain songs but doesn’t have the ear for languages. We sing in Portuguese, Spanish and French, We just played in Tel Aviv and did a song in Hebrew! My singers have incredible ears. They can really sing in Portuguese with no accent in a very beautiful way. SCOTT: We are in the midst of Olympics fever and I remember you wrote a song for the 1984 games called “Olympia.” How do you plan to tie in the Olympics and Carnival into your weekend of Hollywood Bowl Shows? SERGIO: It’s coincidentally the timing of the shows and the games. It’s a very festive moment for the world to get together in Rio to celebrate sports. SCOTT: We have Will.I.Am to partially thank for you coming out of semi-retirement a few years back. 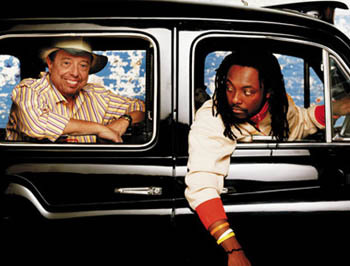 SERGIO: Will.I.Am kind of brought me and my music back. He’s a genius and I have learned a lot from him. He’s very curious and open-minded like I am. His contribution to my Timeless CD is one of my favorites. He won’t be at The Bowl but I will have a rapper from Oakland named H2O because his name is Harrell Harris…and he’s an Optician! He will make it possible for us to do both the original “Mais Que Nada” from `66 and the 2010 version. SCOTT: I’d like to take a look back at some of your tremendous history. 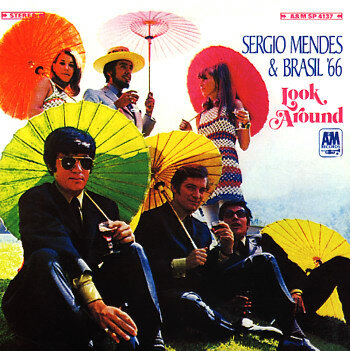 As a drummer, what I learned from Sergio Mendes & Brasil `66 records was the concept of dynamics. Within one 2-and-a-half minute song, your arrangements – in a very elementary way – delineated variations on intensity levels that stayed with me my entire life – from vinyl to my iPod. For that I thank you. SERGIO: It’s a pleasure! Dynamics is the theatre of music. They take you from pianissimo to fortissimo – very important. You paying attention to that is great! SCOTT: Like your classic song “The Frog,” I’d like to leap around a bit. Let’s start with Hollywood. When you decided to move to the U.S. in the mid `60s after your first visit to New York in the early `60s, what brought you out west? SERGIO: It was an intuition thing. I felt that I would be easier for me to adapt, climatically, than in New York. The snow and the cold were very difficult for me. (chuckles) I love New York…but I’m not a winter guy at all! Also, in Brasil I was a heavy follower of West Coast Jazz. When we came here, we auditioned at the (drummer) Shelle Manne’s Shelle’s Manne Hole jazz club on Cahuenga so I had the opportunity to have people like (trumpeter) Chet Baker, (saxophonist) Bud Shank, (trumpeter) Shorty Rogers and (guitarist) Barney Kessell play with me. SCOTT: Were there challenges moving from Rio to Los Angeles back then? SERGIO: It’s always challenging to come to a foreign country. I only spoke a little bit of English. What prevailed was my passion for the music and my desire to come to North America to make it. I could have gone to other places in the world but I came here and am very happy that I did. SCOTT: I understand cats like Bud Shank helped you and your band get into the Musician’s Union. SERGIO: When we arrived here, we already had green cards. In those days, it was much easier to get them than now. Then there was a Brazilian General Consul that was a big fan and who helped us a lot. The president of the union was very helpful not only with my band but with me also bringing other musicians from Brasil. The first band that I brought here all went back – everybody! They didn’t want to stay. We had done one album for Capitol Records [Brasil `65: The Sergio Mendes Trio introducing (singer) Wanda de Sah and (guitarist) Rosinha de Valencia]. I stayed and had several other groups after that. SCOTT: Your first American recording contract was with Atlantic Records to which, I assume, you were signed by Nesuhi Ertegun. SERGIO: Yes. Nesuhi came down to Rio to do a Bossa Nova album with (flautist) Herbie Mann. At the time I was playing in a nightclub called the Bottles Bar in Copacabana. That’s where everything started with Bossa Nova. Nesuhi came in, saw my band and invited me to come in the studio the next day. We became very close friends. Nesuhi was a mentor, a friend and a brother to me. He said, “If you ever come to New York, call me because I would like to do an album with you.” I’d recorded my first two albums (in his late teens) in Rio leading the Bossa Rio Sextet (two trombones, saxophone, piano, bass and drums) for Philips Records which was very active in Brasil. SCOTT: On Atlantic your music straddled jazz and easy listening. During that time you worked with several arrangers but I have to ask about Clare Fischer. SERGIO: I met Clare in L.A. 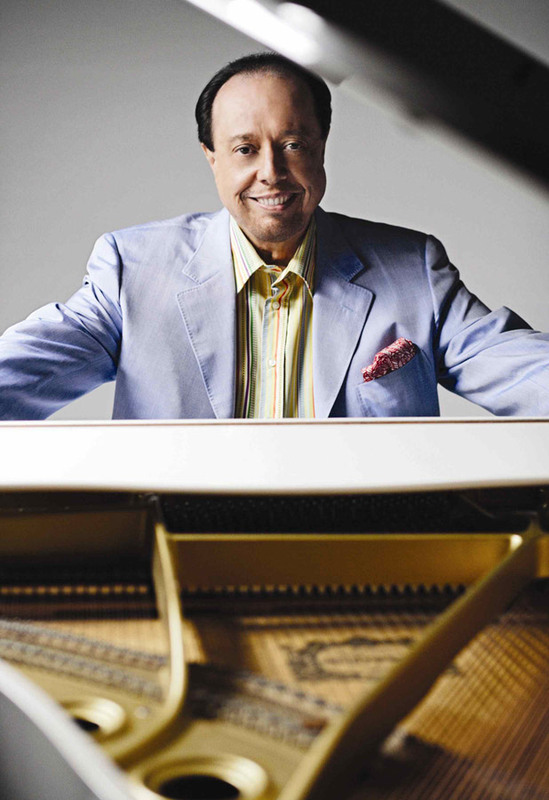 He was a big fan of Brasilian music, a great arranger, pianist and a funny guy. He wrote some incredible arrangements for me (“Morning,” ”Girl Talk”). SCOTT: After your original trio all went back to Brasil, at some point you were on tour, landed in Chicago and met a beautiful talented young lady named Lani Hall at the club Mother Blues. What was your impression seeing Lani that first time? SERGIO: I loved her voice, her personality and invited her to come to California and join my band. I met her parents and asked their permission which they gave. SCOTT: You found her before you had a recording contract or even met Herb and Jerry. That was quite a leap of faith on her part to follow you to Hollywood. SERGIO: We were playing California and all over the United States. One day we were auditioning at a studio on Melrose. People at record labels would come and see us. Herb Alpert & Jerry Moss came in and wanted to sign us to A&M. SCOTT: How did you negotiate the completion of your Atlantic Records contract after you signed with A&M? SERGIO: This is a beautiful story… I called Nesuhi after I met with Herb and Jerry. I told him I met these guys that have a new label. Nesuhi said to me, “Sergio, they will do for you what I wish I could do for you. Good luck…no problem BUT you still owe me three records…instrumental.” Herb and Jerry were surprised but they appreciated it so much. It showed Nesuhi’s character and the kind of man he was. His intuition was strong to know that Herb and Jerry starting a record company in California would do what it did. It opened a brand new door for me. SCOTT: How did you come up with the concept of singing in English and Portuguese – the whole Brasil `66 magic? SERGIO: Most of that first album was already in our live repertoire before we recorded except for “Slow Hot Wind” which we learned later after I met “Hank” Mancini. A lot of the Brazilian songs already had English lyrics so it was natural for me to them in English. SCOTT: What was Herb Alpert’s contribution to your vibe as producer of that first album, Herb Alpert Presents Sergio Mendes and Brasil `66? SERGIO: Very important. 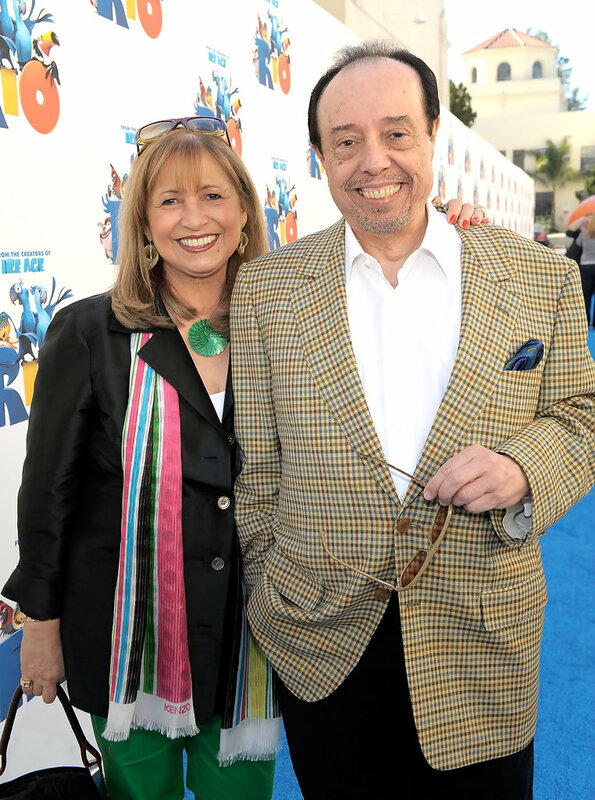 He had already produced his own Tijuana Brass albums so he was very knowledgeable of not only the technical side of recording he was very instrumental about what to do and not to do in the studio. SCOTT: The single “Mais Que Nada” became a huge international hit for the band right away resulting in you touring as the opening act for Herb Alpert & The Tijuana Brass, lots of television shows and massive popularity. You moved from a 1-bedroom apartment in Glendale to a 3-bedroom place in Laurel Canyon. Do you have any memories of that music scene going down in the Hollywood Hills? SERGIO: I did not live on the hilly side of Laurel Canyon. I was on the flat side of The Valley! (laughs) An apartment building…close to the freeway (“The 101”)! SCOTT: The Equinox LP came next followed by Look Around – a perfect balance of beautiful ballads and intricate Brazilian rhythms. Brasil `66 opened concerts for Frank Sinatra after this one was released… The liner note that Alan & Marilyn Bergman wrote on the back cover was highly influential for me. SERGIO: Well, Marilyn and Alan wrote some of the most beautiful English lyrics for Brazilian songs (“Like a Lover,” “So Many Stars” and “Look Around”). SCOTT: Also key to that album were the orchestral arrangements of Dave Grusin. How would you describe the contribution he made on that great album? SERGIO: Dave was brilliant. First of all, he loved the songs and Brazilian music. What he did the orchestra enhanced what we did so much. We’d cut a track, give it to him and he took it to another level. SCOTT: I must ask you about drummer/percussionist Dom Um Romao from whom I learned so much by listening. He left you and joined Weather Report! SERGIO: Ahhhhh…great drummer. I loved him…I loved him. He was my drummer at the Bottle Bar in Rio and was in my instrumental quartet when I played Carnegie Hall in `62. He played with me for a year or two then came back for a few more years in Brasil `66. He was a fantastic, really-really amazing drummer and a very funny guy. He made a big contribution to the sound of Brasil `66 and is considered one of the great Brazilian drummers of that era. 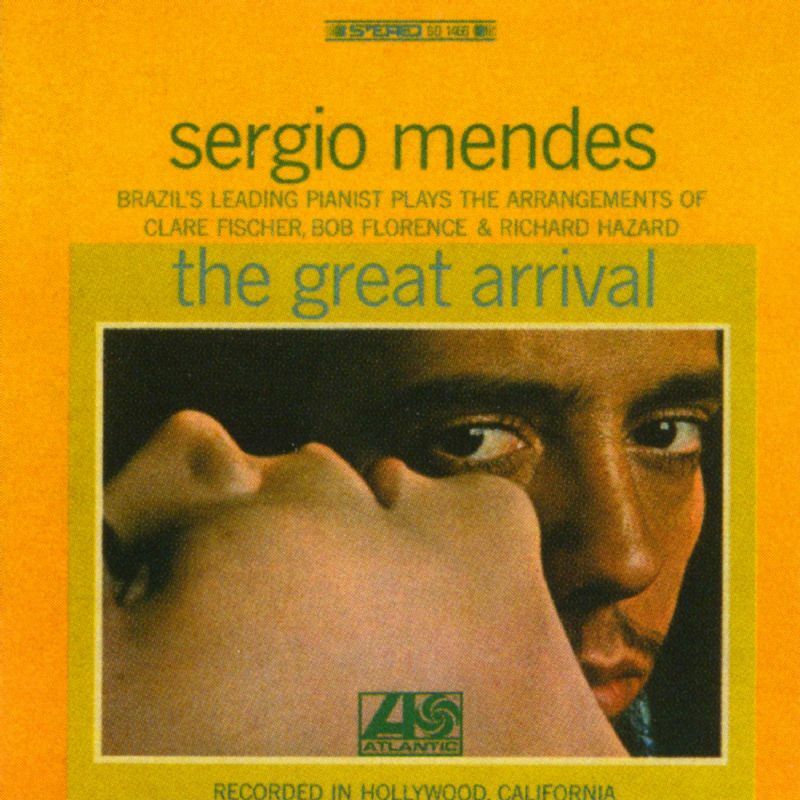 SCOTT: Edu Lobo was one of many Brazilian writers that you championed in those early years, recording his songs on Atlantic and A&M then launching him in America as an artist with his incredible album, Sergio Mendes Presents LOBO. Two of my favorites by Edu Lobo are “Zanzibar” instrumentally and “Pradizer Adeus (To Say Goodbye),” your beautiful vocal duet with Lani. SERGIO: He was among the writers at the time in Brasil whose compositions I liked very much. I recorded many of his songs. Then I brought him here to record an album. He was a great composer. People ask me all the time what my favorite song or favorite album that I have recorded and it’s very difficult – I have recorded so many. Everything that I have recorded I like it very much. I don’t have a favorite song of anybody. I’m proud of everything that we’ve done. One Response to "A Comprehensive Leap “Frog” Through The Career of a Legend"
Congratulations! A fantastic interview, so many insights!